^ Zobel, The Boston Massacre, W.W. Norton and Co.(1970), 199-200. 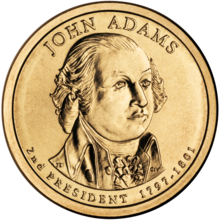 ^ Adams Autobiography, entry March 10, 1778. ^ Fiske, John (1896). Critical Period Of American History, 1783-89. Cambridge, MA: The Riverside Press. pp. 22-24. ISBN 0781228484. OCLC 232657364. オリジナルの2007年8月29日時点によるアーカイブ。. https://web.archive.org/web/20070829101137/http://cupid.ecom.unimelb.edu.au/het/fiske/critical.rtf 2009年7月20日閲覧。. ^ Gordon, Lyndall (2005). “Chapter 3: New Life at Newington”. Vindication : a life of Mary Wollstonecraft. New York: HarperCollins. ISBN 978-0060198022. ^ Wood, Revolutionary Characters: What Made the Founders Different (2006) pp 173-202; see also Wood, The Radicalism of the American Revolution (1993). ^ Elkins and McKitrick The Age of Federalism pp 696-700; Paul Douglas Newman, ''Fries's Rebellion: The Enduring Struggle for the American Revolution (2004). ^ Robert B. Everett, "The Mature Religious Thought of John Adams," Proceedings of the South Carolina Historical Association (1966), p 49-57; [ISSN 0361-6207]. Freeman, Joanne B. Affairs of Honor: National Politics in the New Republic. (2001) - chapters 2 [on John Adams and print culture] and 5 [on the election of 1800] are of special relevance. Knollenberg, Bernard. Growth of the American Revolution: 1766-1775,(2003). Online edition. Kurtz, Stephen G. The Presidency of John Adams: The Collapse of Federalism, 1795-1800 (1957). Detailed political narrative. McCullough, David. John Adams (2002). Best-selling popular biography, stressing Adams's character and his marriage with Abigail while scanting his ideas and constitutional thoughts. Winner of the 2002 Pulitzer Prize in Biography. Miller, John C. The Federalist Era: 1789-1801. (1960). Slightly dated but still-valuable, thorough survey of politics between 1789 and 1801. Wood, Gordon S.. Revolutionary Characters: What Made the Founders Different (2006). 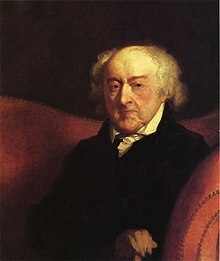 The chapter on Adams, a slightly revised version of chapter XIV of the author's The Creation of the American Republic, 1776-1787 (1969), may be the most influential short treatment of John Adams's political thought ever written. Butterfield, L. H. et al., eds., The Adams Papers (1961- ). Multivolume letterpress edition of all letters to and from major members of the Adams family, plus their diaries; still incomplete . United States Congress. "ジョン・アダムズ (id: A000039)". Biographical Directory of the United States Congress.